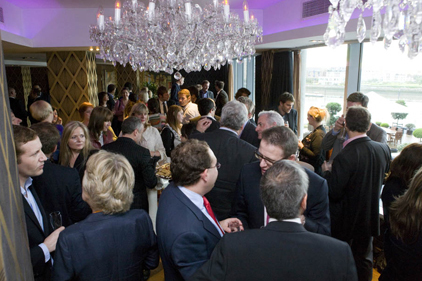 Everything Everywhere's comms boss Stuart Jackson made a sterling effort to get to the party. Having been out partying the previous night - until 5am - with his colleagues, he was nevertheless propping up the bar - or was it the other way round? - until late in Battersea. Flack was concerned that Jackson was attempting 36 hours without sleep. These mobile guys have legendary stamina. ...and so do their agencies. Matt Neale, chief of Golin Harris and long-time consultant to Jackson, was planning his schedule next month. It involves flying directly from the Cannes Advertising and PR Festival to Glastonbury, with only a change of clothes en route. From previous form, expect both Neale and Jackson to be partying until late in the hedonistic Shangri-La area Glasto. When the champagne ran dry, one thirsty PR boss refused to be defeated. Weber Shandwick corporate and public affairs chairman Jon McLeod developed a cunning plan of walking out and then back in again. 'It's the only way to do it,' he was overheard telling fellow lobbyist John Lehal of Insight Public Affairs. Now that's what we call good advice! 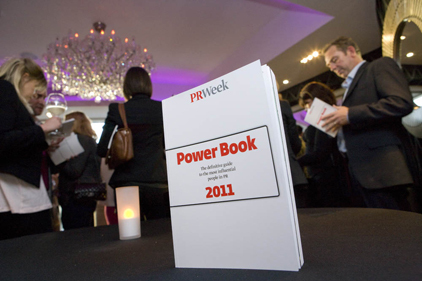 The Power Book, launched this week, names Matthew Freud as the most powerful operator in UK PR.